Bryan Drewyor – Make Me A Garden – Single Review | The Ark of Music – The best music in the world…you never knew existed. 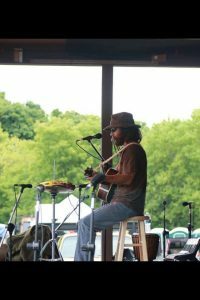 Toledo native, singer-songwriter, multi-instrumentalist, instrument inventor, multi-medium artist, and environmental activist, Bryan Drewyor has done what most musicians only dare dream about. He’s biked across the country performing his his substantial catalog of soulful songs of spirit, love, and peace at venues along way. His mission is to help heal our wounded, over-burdened Mother Earth by inspiring each of us to begin our own healing process. He does this one day at a time. One gig at a time. One song at a time. I ran into him recently while he was performing outside of the Willy Street Coop on Williamson street here in Madison, WI. I will tell you this: The moment I heard his voice, I stopped everything I was doing to listen. He was armed with nothing more than a small 3/4 travel size acoustic guitar and a small plastic trash can—which he sat on while thumping against it with a bass-drum kick-pedal to keep rhythm. His voice was soulful and strong, with no need for amplification of any kind. The sound was utterly captivating. 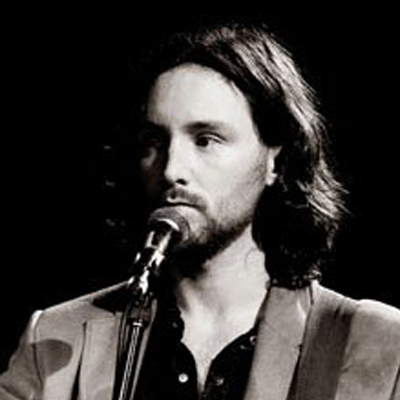 On that particular day, in that very moment, he was performing his latest single, Make Me A Garden (a song which will appear on his forthcoming album by the same name). Without knowing a thing about Brian, his mission, or this song, I knew immediately what his intentions were. A Midwestern version of JJ Gray. BELOW, you can listen to Bryan Drewyor’s song, Make Me A Garden, check out our interview with him, connect with his website and social media platforms, watch his music video, check out his live show/tour schedule, and find his booking & contact information. Please support Bryan Drewyor by visiting him online, and playing, downloading, and/or purchasing his music. And, as always, thank you for supporting real music!